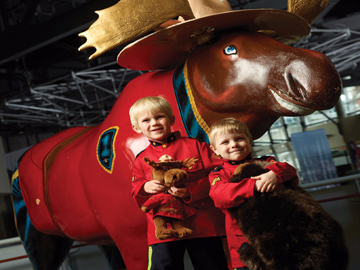 The city of Toronto is filled with enough kid-friendly fun to fill any day trip or vacation. Need even more family fun ideas for a trip to Toronto? Check out the five picks below and plan a great vacation the entire family will remember. The fact that kids love amusement parks is hardly a startling revelation. But Canada's Wonderland, located just north of Toronto, is far from an ordinary amusement park. Canada's Wonderland is the largest amusement park in Canada and offers over two hundred attractions, seventy rides, and a twenty-acre waterpark. "Often, one day is not enough," explains Soulla Lindo, Manager of Communications and PR. "Bigger kids love Leviathan, Canada's tallest and fastest coaster, and the Mighty Canadian Minebuster, Canada's longest wooden coaster." 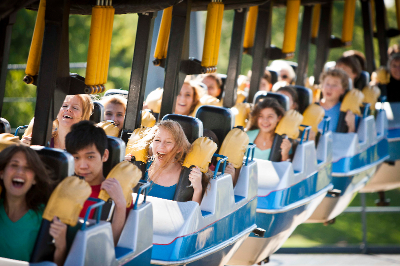 Canada's Wonderland also offers plenty of activities for younger kids and less daring visitors. "Beyond our record-breaking roller coasters, there are many interactive environments for kids, events, and shows," Lindo explains. "Our Victoria Falls Divers, who perform acrobatic dives from sixty feet, have been a staple since the park opened in 1981." The Ontario Science Centre features highly interactive exhibits that are guaranteed to bring out the inner mad scientist in any curious kid. "We specialize in interactive activities," explains Dr. Mary Jane Conboy, Director of Science Content and Design. "We try to engage people through activities--learning activities and learning through play." 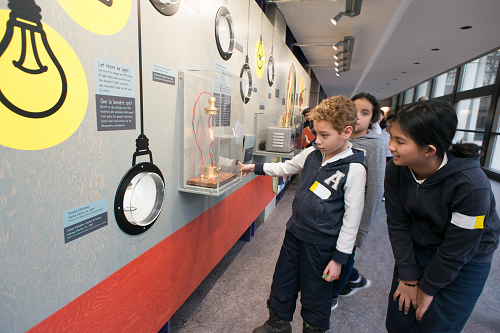 OSC is notable in particular for its extensive offering of kid-friendly interactive exhibits that allow visitors of all ages to explore science and enjoy hands-on activities. "The Rainforest exhibit is one of my favorites," Conboy says. "It's a recreation of a Costa Rican rainforest. You can feel the humidity, see the frogs and the indigenous plants--we wanted to bring the rainforest experience to our visitors." Riverdale Farm is an oasis in the middle of the bustling city. This historic farm is located in downtown Cabbagetown, a neighbourhood in central Toronto, and is open to the public year-round. Visitors can explore the seven-and-one-half acre grounds, which includes winding pathways, ponds, and beautiful gardens filled with flowers, vegetables, and herbs. The central draw is, of course, the farm itself. Riverdale is still a working farm, featuring buildings that date from the mid-nineteenth century. 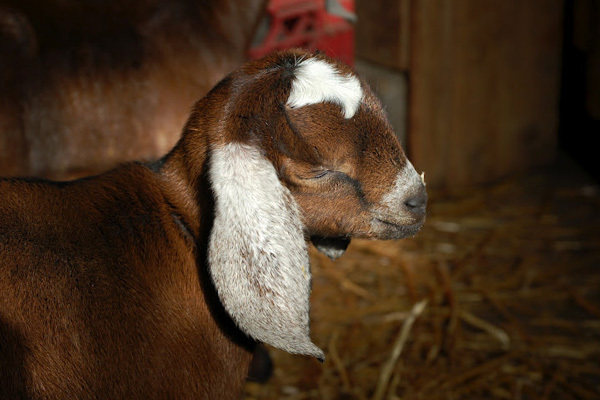 Visitors are invited to explore the farm, interact with farm animals--including pigs, goats, and turkeys--and ask questions of the farmers as they go about their daily chores. Admission to the farm is free, providing families a wonderful opportunity to enjoy the outdoors and learn about this historic farm. The CN Tower features high-speed elevators that take visitors to the top of the tower in only fifty-eight seconds at a speed of twenty-two kilometres (fifteen miles) per hour. Enjoy breathtaking views of the city on the LookOut Level, located at 346 metres (1,136 feet), or take the SkyPod up an additional thirty-three stories to 447 metres (1,465 feet), where under ideal conditions, visibility stretches as far as Niaraga Falls and New York State. The Tower is also home to plenty of other activities, including restaurants, shopping, and interpretive exhibits. High Park is Toronto's largest public park. Located in the southwest part of the city, High Park features a diverse range of outdoor activities that the whole family will enjoy. Have a picnic, go fishing in Grenadier Pond, or follow picturesque hiking trails that wind through lush gardens world-renowed for their range of unique vegetation. Kids should keep an eye out for mink, stoat, and other wildlife. 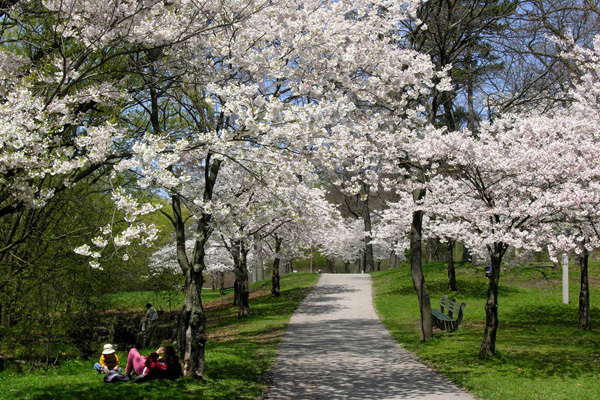 In April and May, be sure to visit the Park's famous collection of Japanese cherry blossoms, which draw thousands of visitors each year. For children, the Jamie Bell Adventure Park and the High Park Zoo are two must-see attractions located in High Park. One of the largest outdoor playgrounds in Ontario, the Adventure Park features swings, ladders, slides, castles, and more, and is decorated with artwork created by local kids. The Zoo, which was established in the 1890s, consists of nine paddocks and is home to peacocks, llamas, sheep, and more. And the best part? All of the attractions, including the Zoo and the Adventure Park, are free for all, making High Park a perfect addition to any travel itinerary.